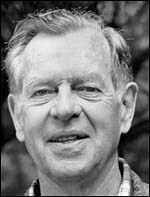 The Hero with a Thousand Faces (first published in 1949) is a work of comparative mythology by Joseph John Campbell (1904–1987), who was a US Professor of Literature. In this book, he discusses his theory of the mythological structure of the journey of the archetypal hero found in world myths. 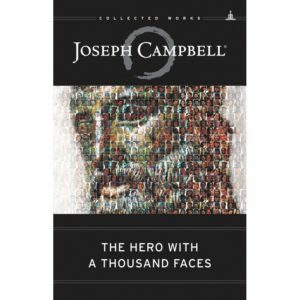 Since the publication of The Hero with a Thousand Faces, Campbell’s theory has been consciously applied by a wide variety of modern writers and artists. Filmmaker George Lucas acknowledged Campbell’s theory in mythology, and its influence on the Star Wars films. J.K. Rowlings would have been using the same principle, to write the Harry Potter saga, as well as J.R.R. Tolkien. Reports say the Lucas even met with Campbell while writing Star-Wars and would have used his help. Since the beginning, my ultimate goal has been to give youngsters and adults a new kind of heroes. To be honest, I needed a new kind of hero. Of course, heroes will always feature similar patterns, as was brilliantly analyzed by Campbell. I bought the book and read it through? But I must admit that I wasn’t sure I got it all figured out in English. So I bought the French translation, but even in my mother language I felt I got the essence but not all details. It was too vast, too big, too kind of ‘a life time job’ to embrace it to its full extent. That’s where I understood that being able to meet with him must have been one of life’s most precious gifts to Lucas. On top of that, in todays world, where people are becoming more and more aware of their importance as individuals and where Gandhi’s “Be the change you want to see in the world” is getting so essential, my hero, Art, had to live up to that kind of standards. This is why he’s following an initiating journey along which he discovers ways of changing himself in the first place before understanding why and how he’d be able to influence the world around him. Indeed, at the dawn of the 21st century, more than ever, people are seeking meanings to their lives. An increasing number of human being are beginning to feel that they are part of a infinite whole where everything and everyone is connected, and where the key to fulfillment the accomplishment one’s inner destiny. Therefore, The Mecha-Soul is undoubtedly my most elaborated and most accomplished achievement to date.